How Can Your Brand Benefit From Custom Gift Boxes? When we give gifts, it makes us feel warm and happy. Gifts are good to give than receiving as we do not expect anything in return. Making someone feel special is always great and gifts are one way to do it. Gift giving is an expression of love, a way to say thank you, to appreciate someone and to celebrate an event. Whatever the reason is, gifts are for the special occasion and you can make it more special by presenting in gift boxes. Custom gift boxes provide a unique and special experience to receivers. Gift box provides elegant and customized packaging. Display these boxes on shelves or deliver it to customers, gift boxes provide an ideal solution for all your needs. Great things come in custom boxes and special items come in gift boxes. These boxes are not only stylish but also help you to leave a memorable impression on customers. Gift box is high in quality yet low in price which provides you an economic benefit. If you are thinking whether investing in custom gift box will be worthy or not, here are some benefits that you can get with custom gift boxes. Most customers feel happy when they get an item from the brand with excellent. It will give them a memorable experience. Consider yourself in place of customers and imagine what will they feel when they receive a product colorful gift box. Surely, it will make them feel more excited and to have the unique experience. Custom gift boxes can make your product to look feel and good. It provides efficient branding and leaves a lasting memory in customer's mind, which eventually result in additional sales. Make your customers feel special with Custom Gift Boxes. If you have a solid brand identity, use something different as custom gift boxes to show it. It is a great way to put all your branding elements on the front to build a unique identity. With logo or brand name on these gift boxes, you can make your brand's personality shine. By considering which elements can add an extra touch to your gift boxes, you can make your products easily recognizable and identifiable. With extra or additional packaging (ribbon, personalized notes, and thank you cards) you can make these boxes more appealing to customers. When you deliver products in gift boxes, it will make a strong impression on customers. Little touches to custom gift boxes can help you to stand out from the competitors. It is one of the best ways to make your unique identity in the crowd. Gift boxes come as the color printed and with custom cuts. By putting little effort you can make these boxes unique and exceptional. You can also use these boxes for promotional events as free giveaways. In this way, customers will remember your brand and it can also increase their loyalty towards your brand. People are now moving from gift wrapping to gift boxes. The reason is gift boxes are more valuable in appearance and touch. A gift is itself a special item and when it comes in charming boxes, it makes the product more distinctive. Packaging has the ability to turn an ordinary box into a wonderful memory. Use high-quality material, enhancing colors and design to give these boxes extra visual appeal. It will draw more customers towards your brand and can make or break your name in the market. Give your customers gift boxes as something unforgettable and valuable. Social media has totally changed the trend of custom packaging. Custom gift boxes can turn your packaging into an experience that you can post online. Unboxing videos on YouTube are becoming popular day by day. If you want your customers to share their experiences then give then more than just a gift box. You can customize both inside and outside of the box with unique prints. Encourage customers to share the special gifts boxes by printing your social media handles or your special hashtag. Gift boxes are not only appealing and unique presentation but also provide extra protection. The material of these boxes is strong and sturdy which prevent the inside product from any damage. Go beyond the traditional boxes and provide your customers more secure delivery. Customers will be happy to get their products in intact form. Happy customers are vital to success in our business. The unique you make your custom gift boxes and deliver them safely, the cheerier your customers will be. Gift boxes are all about making your customer happy. 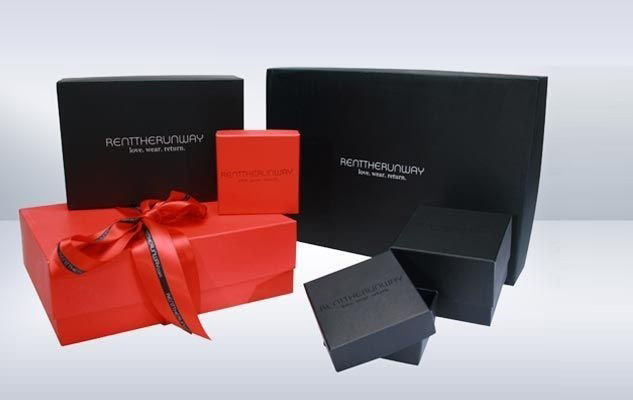 Custom gift boxes are a great tool to make your customers remember your brand name in the future. So, join hands with Custom Packaging Pro to get the flawless gift boxes.